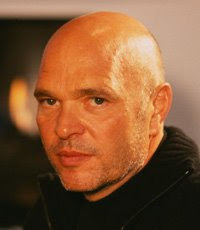 Sad news this afternoon with Anthony Minghella’s agent releasing news that the British director has died, aged 54. No cause of death has been released. To me Minghella stood for the improvement of British cinema, a position I think he would have been pleased to occupy. He had just finished a tenure as director of the British Film Institute (BFI) where he sought to uphold and improve the reputation and development of British film. Minghella had spoken out on many occasions on what he felt was the failure of the British film industry to attract big names and produce big films and it is nice to see a person with influence attempt to back up his statements with action. He will undoubtedly be remembered for his multi-Oscar winning film The English Patient as well as the successful The Talented Mr Ripley which really contributed to launching the career of Matt Damon as a leading man. It is sad in the wake of Heath Ledger’s death that the film industry has lost another influential figure in what, at the age of 54, must be considered a premature fashion. I am sure all film fans thoughts are with his family and friends who have suffered the greatest loss.